While I don't always believe the phrase Absence makes the heart grow fonder as being completely accurate (clothes often go "absent" in my closet and I typically don't yearn more for them, I just forget that I own them), I do think that it is quite apt when it comes to foods. Similarly, while I'm typically a standard chocolate chip cookie kind of girl, there is just no way to not get into the excitement of flavors specific to certain times when they come in the form of Seasonal Favorites Cookie Sandwiches from Lance! For more than a century, Lance has been fueling America with its sandwich crackers – two crunchy crackers with an incredible filling in the middle. 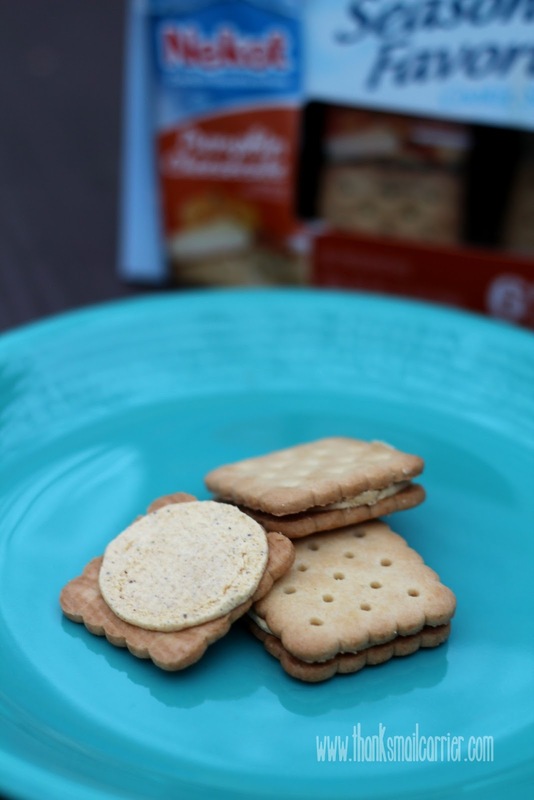 With more than 20 varieties that are made with baked, crispy crackers and real peanut butter and cheese, Lance sandwich crackers are perfect for the entire family to enjoy just about anytime, anywhere. So why not take their already-delicious products and dress them up for the holidays? 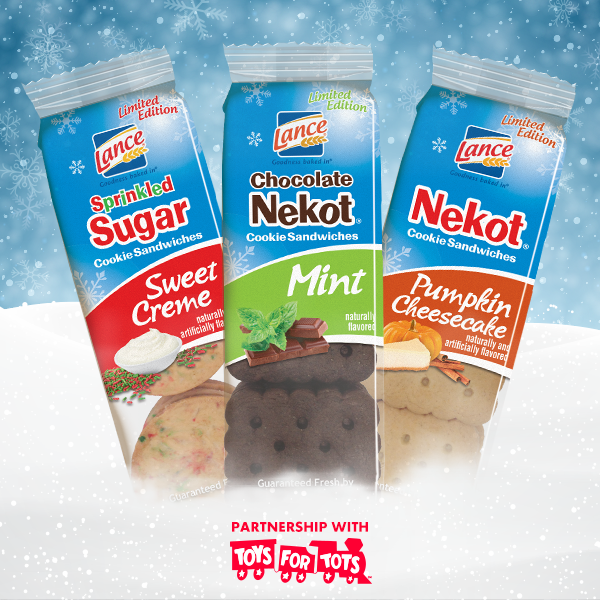 That's exactly what they've done, as now your snacking just wouldn't be complete without Lance's three specialty cookie flavors that are sure to get anyone into the holiday spirit! 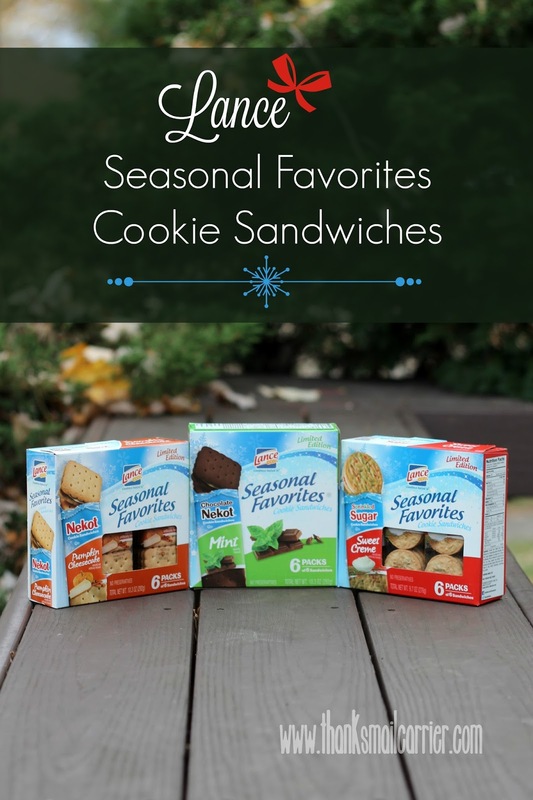 The hardest decision is which of these delicious seasonal favorites to try first, as each of the varieties is made up of two sweet cookies with a flavorful and indulgent filling in the middle! First up, for the large number of mint-lovers out there, Nekot with Mint. 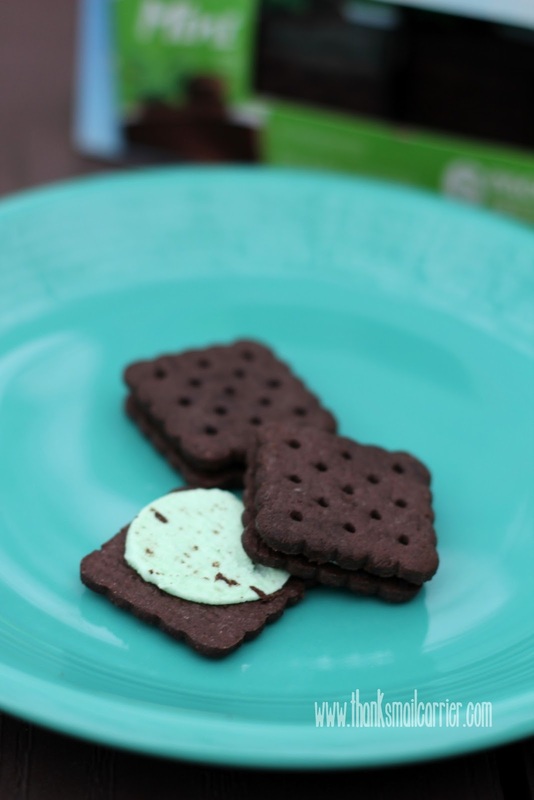 This smooth and creamy combination blends chocolate with mint perfectly! Second, what fall seasonal flavor compilation would be complete without pumpkin? Lance has the answer for all of us who have pumpkin on the brain with their amazing Nekot with Pumpkin Cheesecake sandwich cookies. Yum! Finally, for those that reach right for the sugar cookies in the spread of holiday treats, Sprinkled Sugar Cookie with Sweet Creme. I didn't expect to like these so much, but they are extremely tasty (and a big hit with both kids)! But there's something even more delicious about these delectable cookies this holiday season, as this year when you buy Lance's seasonal favorites, you won't just get a tasty treat, you also will support military families through the brand's partnership with Toys for Tots. That's right! 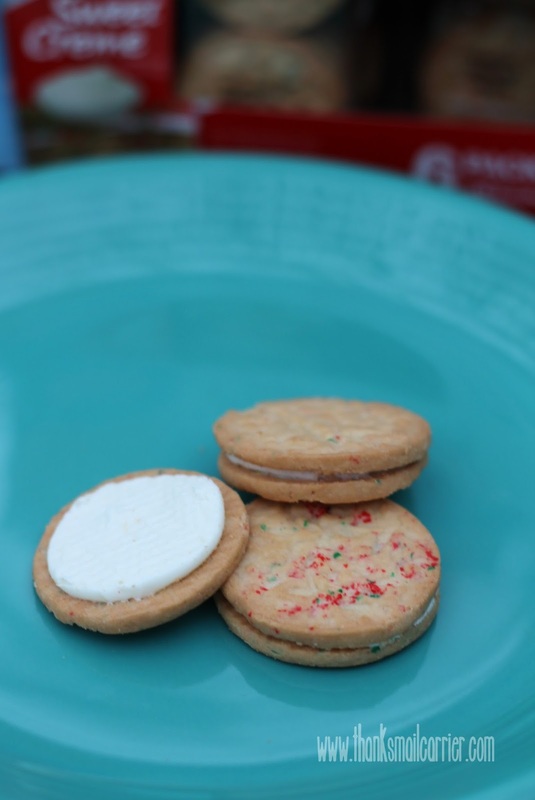 Select retailers will have specially-marked Toys for Tots displays with seasonal snacks from the Snyder's-Lance family of brands, including Lance cookie sandwiches. For the first 500,000 packages sold, Snyder's-Lance will make a contribution to support Toys for Tots up to $25,000 through December 31st! Sweets for me and a donation to a great cause at the same time? Lance sure knows the way to my heart this holiday season! Lance seasonal cookie sandwiches are available at grocery stores and mass market retailers nationwide (hint: use their product locator to find your nearest store) for a suggested retail price of $2.99... but only from November through December, while supplies last. So keep an eye out the next time you are out shopping so that you don't miss them! 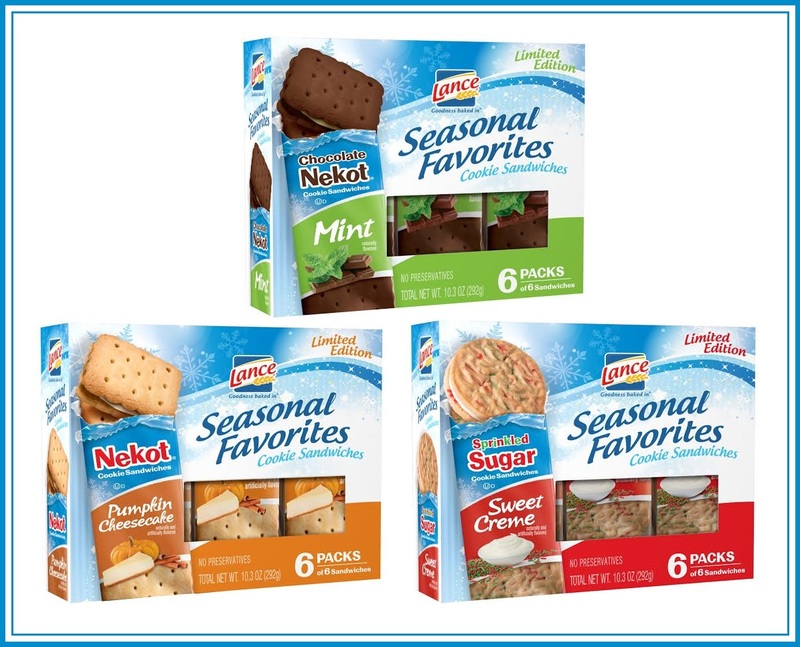 Each box of Lance Seasonal Favorites Cookie Sandwiches contains six individually wrapped packages of six sandwiches, as they are the perfectly sweet on-the-go snack. You can also find out much more information, nutrition facts, other products, and more by visiting Lance.com and connecting with them on Facebook, Twitter, and Pinterest. 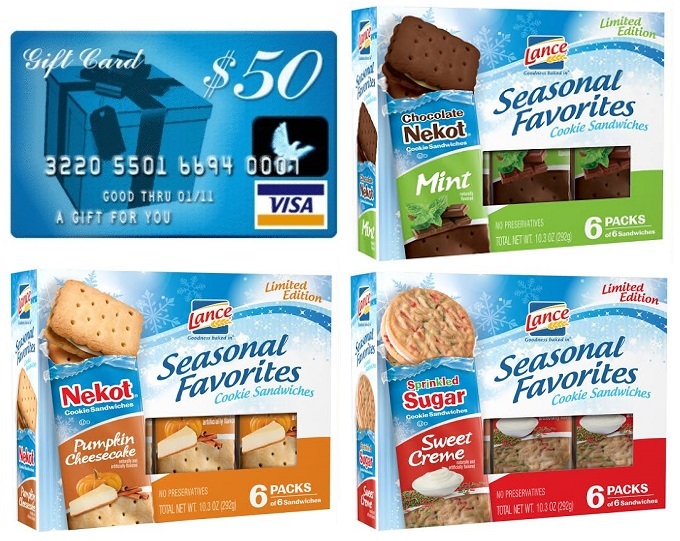 One lucky person will win a Lance Seasonal Favorites Cookie Sandwiches Prize Pack*! *Prize Pack includes a $50 Visa prepaid gift card and (1) each of the Lance Seasonal Favorites Cookie Sandwiches varieties: Nekot with Mint, Nekot with Pumpkin Cheesecake, and Sprinkled Sugar Cookie with Sweet Creme. A big thank you to Lance for this sponsored opportunity and for providing samples for me to review and a prize pack for one lucky giveaway winner. The opinions shared are my own and honest and if you really need to see more, click here to see how I roll.